The SureCommand mobile application is designed and developed to enhance the abilities of Security Guards and Private Investigators. 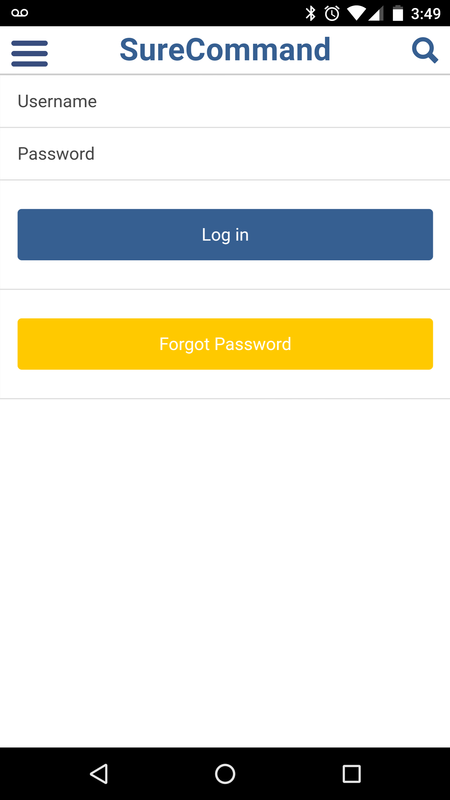 The mobile app has features that enable users to elevate their level of awareness, capture information, manage communications and coordinate activities with other users. 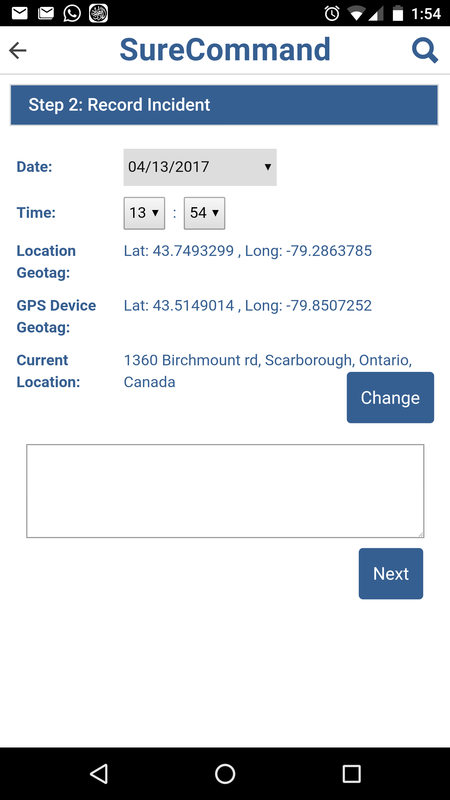 Users can use features to manage their schedules, create occurrence reports, fill out incident reports, administer the Guard tour system, receive and transmit information to other users and search for information that may be critical to protecting your customers. Guards and Investigators need the SureCommand app to improve their ability to manage their activities and customers expectations. The SureCommand App is available to download on the Google Play Store or The Apple Store on your mobile device. The SureCommand App is free. 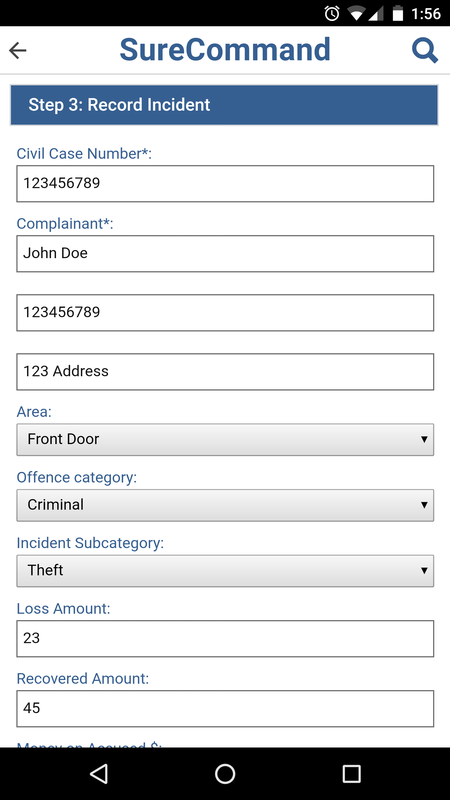 The SureCommand Mobile App System enables Guards and Investigators to build their own professional profile. This includes recording their contact information, location and physical features. This information can be used to help users connect with other users through the SureCommand Professional Network. 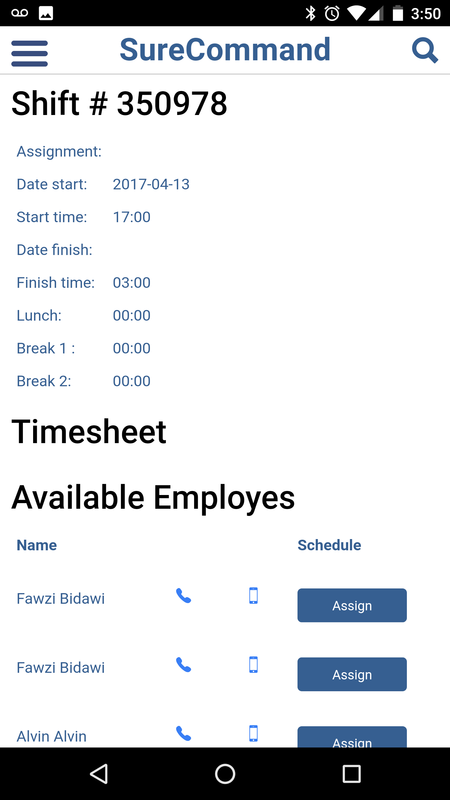 The SureCommand Mobile App enables users to connect with their employers and view their Schedule. 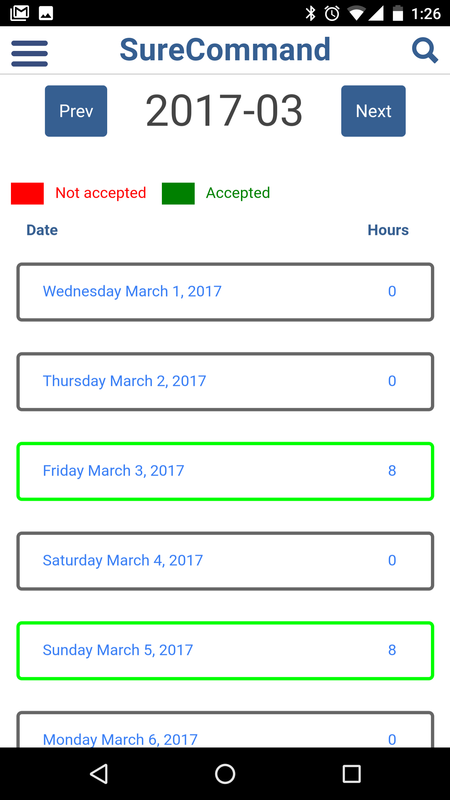 The SureCommand App enables users to view future scheduled hours or apply for additional hours. The SureCommand user can also apply for holidays and receive approvals. The employer has the ability to also ensure that the hours have been accepted by the scheduled person. The SureCommand App can also broadcast to everyone within the employers network hours that are available. Users of the SureCommand App may also see payroll information that will allow them to see what hours will be applied to a specific payroll date. 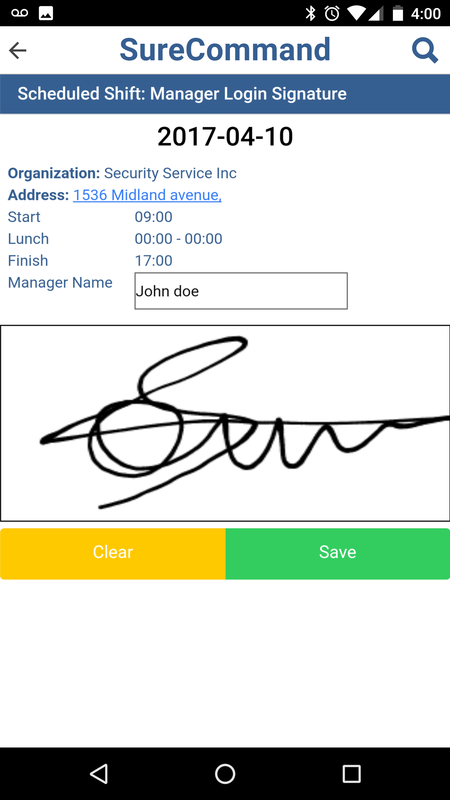 Guards are now able to capture customers signatures on their SureCommand App to verify attendance. Customers can use and touchscreen device to write their signature with their finger. 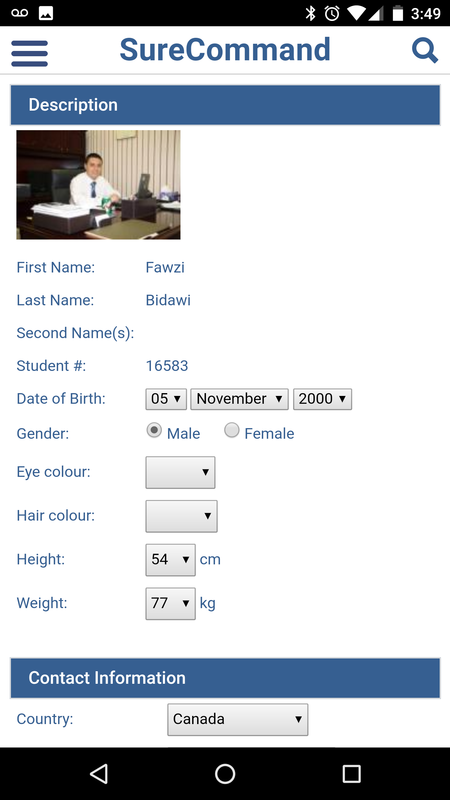 This feature also time and location stamps the record. 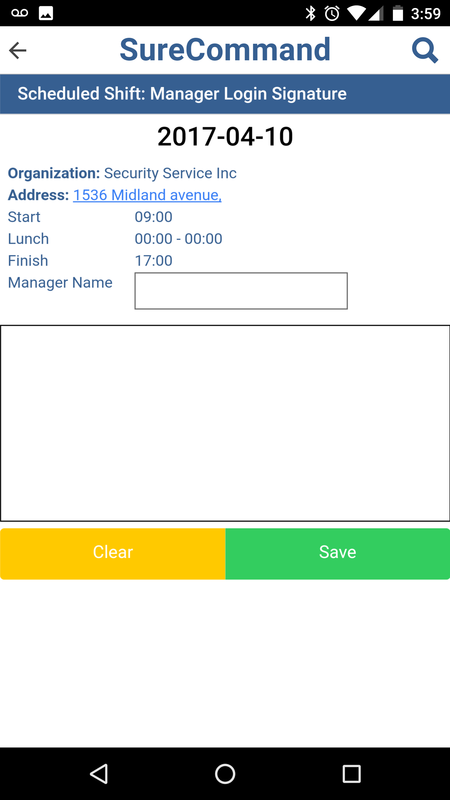 The SureCommand Mobile Scheduling System has features that enable Supervisors and Managers to perform schedule transaction with their mobile phone. This makes for a more versatile scheduling operation. The SureCommand Digital Notebook System is designed to enable Guards and Investigators to use their mobile devices to record their daily activities. The SureCommand Digital Notebook can work with a speech to text functions that transcribe verbal words into written text. All the content that is captured by the Digital Notebook is saved on a cloud-based server and easily searchable for future reference. The SureCommand Digital Notebook can be used on many types of devices and multiple software platforms. Every Digital Notebook entry is recorded with time, GPS location, and weather stamp. Patrols are an essential part of the security service industry. The SureCommand system enables your to create Guard tours using the Guard Tour system. Simple select the site, enter in the areas to be patrolled and then program the microcontroller for that waypoint the Guard reach before moving to the next area. This will help your organization determine the time and frequency your Guard has performed their patrols and allow your customers to receive a PDF patrol report everyday by email if the option is selected. The Guard may use a cellphone to read the wall mounted microcontroller. 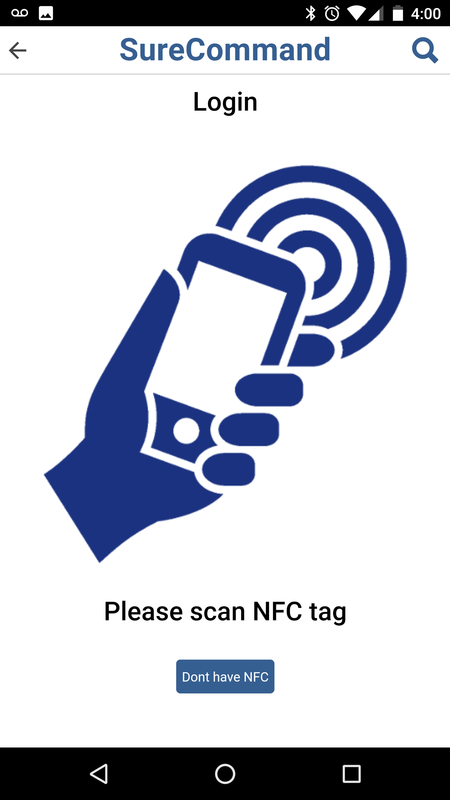 The system works by turning on the NFC or Bluetooth wireless options on the cellphone and waving the device in-front of the microcontroller until the SureCommand patrol app says that the read was successful. 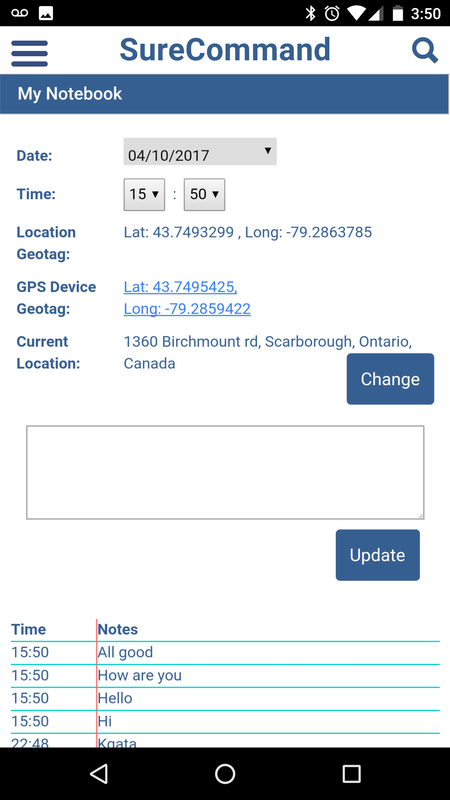 The SureCommand Guard Tour system has a built in GPS indicator using GPS and Geo-tagging devices to ensure the location of the microcontroller has not been compromised. The system will alert the dispatcher automatically if the microcontroller has been moved and is not where it is supposed to be. 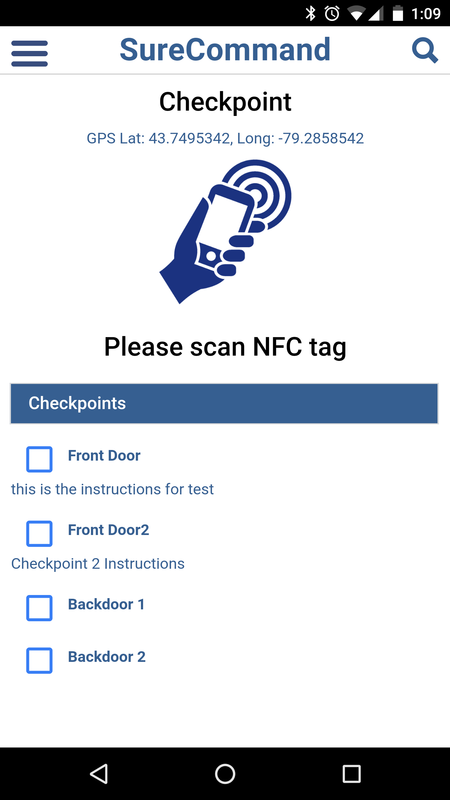 SureCommand will provide the necessary a microcontroller censors like and NFC or Bluetooth beacon that his connected to their mobile device. The patrols can be pre determine or randomize and will display the route on the cellphone the Guard will be using to ensure the Guard does not miss any area they are supposed to patrol. You may also view their patrol progress on the connection with Google Maps. The SureCommand Guard Tour system will prompt Guards as to their next patrol point. 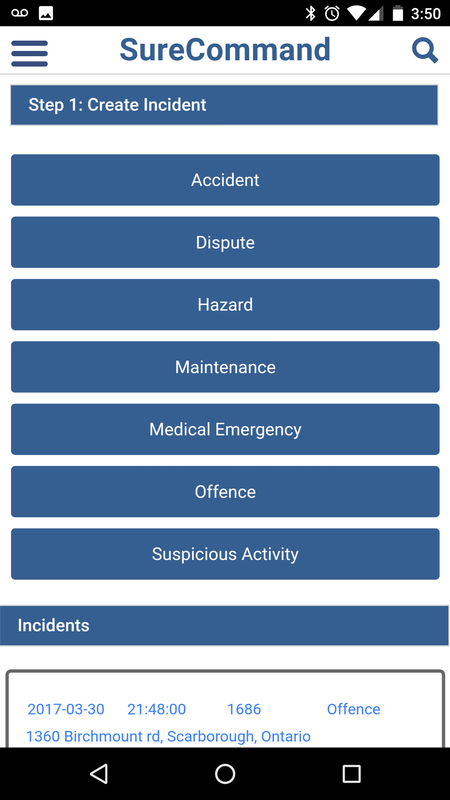 The SureCommand Mobile Application Incident Management System gives Guards the ability to choose what type of incident the would like to administer. Information is unique for every type of incident. Users can dictate using the Voice to Text System to record the notes for the incident. Every incident type has a unique wizard to guide the Security Guard through a questionnaire that applies to that specific type of incident. The SureCommand Mobile Application lets your Guards know what tasks they have to complete while on duty. The SureCommand Supervisor Mobile Application gives your Supervisor the ability to manage their team on their mobile phone. Supervisor can view the list of active shifts, the Guards location and perform inspections.